TRAVEL.org - Florida, find cheap resorts, hotels in Florida, theme parks and other travel info. TRAVEL.org - Florida. Find cheap resorts, hotels in Florida, theme parks and other travel info. Florida Tix Discount Codes - Save money on your next trip to Florida! 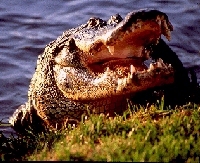 Travelhelp.net - We Know Florida - Where to stay, What to do! Florida Guide - Worldwide Travel Guides, HotelsByCity.net offers 500 Travel guides and over 1000 images of cities worldwide. Dream Exotic - Rent a Luxury Rental Car, Yacht, Home, or even a Jet! Collier County - Paradise Coast - Collier county visitor information bureau for SW Florida, Naples, Marco Island, and Everglades City hotels, resorts, restaurants, golf, and attractions. City of Gulfport - Gateway to the Gulf. Visit Kissimmee - There is no other vacation place quite like it. Naples and Florida's Southern tip. Tampa Downtown - Guide to hotels and suites in downtown Tampa, near Busch Gardens, Westshore and airport. Ft. Myers Pet friendly Vacation Rentals - Plan your next Pet Friendly Vacation with us and save at PetVacationHomes.com. Residence Inn Fort Myers Sanibel - Get away to a Fort Myers Beach, Florida hotel featuring stylish spaces and all the comforts of home. With residence-style accommodations and Marriott service, our hotel near Fort Myers Beach is the ultimate coastal retreat. Fort Meyers Airport Hotel - Located at a Great location near Southwest Florida International Airport. Ocean's Reach Sanibel Island Condos - at Ocean's Reach make the perfect beach vacation. Sanibel Harbour Marriott Resort in Fort Myers - This resort is set upon 85 acres of waterfront grounds with 45,000 sq. ft. of meeting space, on-site spa, and multiple resort pools. Fort Myers Beach Rentals - BeachFloridaRentals.com - Lahaina Island Accommodations specializes in Fort Myers Beach vacation rentals with over 165 privately owned beach homes and condos available. Fort Myers Rental Places - Vacation Rentals - Beach Vacation Homes, Villas, Condos and House Rentals in Fort Myers, Florida. Professionally Managed Vacation Rental Accommodations. Pink Shell - Reserve your Fort Myers Beach hotel accommodations online with the Pink Shell Beach Resort today. Go Miami Card - offers unlimited admission to tours, sightseeing and more for one low price. Bal Harbour Quarzo Boutique Hotel - is an idyllic waterfront hotel in Bal Harbour, just minutes away from Miami Beach, featuring luxurious suites, gardens, pools, a spa, and private chef cuisine. This blissful Bal Harbour hotel is a Miami Beach sanctuary for the soul. Daddy O Hotel - Miami, Florida - offering a boutique-style with well-appointed accommodations and luxurious amenities. Check out the sophisticated ambience and five star dining at the Daddy O Hotel near Miami Beach, Florida. Motel Bianco - is located in the heart of Miami�s Modern Design District. The Ritz-Carlton, Coconut Grove - With its charming, villa-like ambience, the luxury, boutique Ritz-Carlton Coconut Grove, Miami is an urban retreat in the heart of one of the city�s most vibrant neighborhoods, known for its shopping, dining, sailing, proximity to family attractions and myriad festivals and events. Cadillac Hotel & Beach Club, an Autograph Collection Hotel. - effortlessly blends a relaxing oceanfront atmosphere with refined urban sophistication. Plan your Miami Wedding at The Ritz-Carlton Coconut Grove, Miami - Experience Miami weddings that are perfect to the last detail. From intimate to extravagant, traditional to unexpected, The Ritz-Carlton is at your service and dedicated to creating weddings in Miami that are uniquely yours. Find South Beach Meeting RoomsThe Ritz-Carlton, South Beach - Experience The Ritz-Carlton, South Beach and discover the chic sophistication of Miami�s most famous beach community. Located just steps from the city�s finest shopping, dining and nightlife, this luxury hotel in Miami offers guests an unforgettable escape. Fairmont Turnberry Miami - Here you'll discover a Florida resort that offers the ultimate in luxury. Featuring oversized rooms, world-class golf and a relaxing spa, your stay will be ideal. Ritz Carlton - Discover refined luxury in a relaxed setting at The Ritz-Carlton. From Miami to Beijing, Spain to Egypt, each of our luxury hotels offers unmatched service and new opportunities for the perfect stay. SpringHill Suites Miami Airport South Hotel - Spacious Miami all-suites hotel located 4 miles from Miami International Airport offers great amenities such as free wireless Internet, free breakfast buffet, fitness room, and outdoor heated pool. Miami Airport Marriott Hotel - is a full service hotel located just one block away from the Miami Int'l Airport and offers a free shuttle service. Other amenities include on-site dining, meeting facilities, a fitness center, pool and much more. Courtyard Miami Airport South Hotel - This newly renovated hotel is just one mile from the Miami Int'l Airport, featuring a free airport shuttle, 2,800 square feet of meeting space, a sports bar, a business center and much more. Residence Inn Miami Airport South Hotel - This new hotel is located in the heart of metropolitan Miami, one mile from the Miami Int'l Airport. Enjoy complimentary breakfast and high-speed Internet access. Fairfield Inn & Suites Miami Airport South - is one mile from the Miami International Airport and close to the Port of Miami. Our Miami hotel offers spacious rooms, business center, fitness center, free shuttle to/from the airport and free Internet access. The New Yorker Hotel Miami - Boutique hotel in Miami located minutes from the South Beach, MIA and the Cruise Port. Miami Hotels and Accommodations - Discounted rates on Hotel rooms, Car Rentals, Flights, Vacation Rentals. Discountedhotels.com, your complete travel resource. Palms Hotel in Miami - Oceanside Resort on the northern end of South Beach. Book Online Now & Save. National Hotel - Upscale Boutique Hotel in the heart of South Beach. Book Online Now & Save. Albion South Beach Hotel - (Rubell Hotels) offers a taste of authentic Art Deco Miami with its minimalist decor and Ocean Drive attitude. Ocean Point beach Resort - Discover the luxury of the Ocean Point Beach Resort and Spa in Miami Beach. Breakwater Hotel (Miami) is the most renowned Art Deco jewel in South Beach. Right on Ocean Drive with spectacular views. Key West Florida Keys On-line guide. Southernmost Hotel - Key West, Florida Hotel Reservations - offers exquisitely appointed accommodations and an array of resort-style amenities from luxury pool to complimentary breakfast each morning. The Southernmost House is an historic oceanfront hotel property in Key West, Florida set in a tropical oasis paradise. Courtyard Key Largo - Enjoy our Key Largo hotel's well-appointed guestrooms featuring complimentary high-speed Internet, cable TV & mini-refrigerator. One of the most inviting hotels in Key Largo; each room has a private balcony with Marina or island views. Crowne Plaza Key West - Built in 1926, the historic Crowne Plaza Key West - La Concha - home of Key West's highest sunset celebration - is an elegant Key West hotel with beautiful accommodations, stylish event space, world-class amenities, and vintage charm. The Inn at Key West - Welcome to tropical paradise! Our luxurious boutique hotel and resort boasts deluxe accommodations and world-class amenities, perfect for business and leisure travelers alike. Siesta Key Beach Hyatt - Vacation at a luxurious Siesta Key resort at Hyatt Siesta Key Beach - A Hyatt Residence Club, offering Siesta Key beach resort vacation rentals, deluxe amenities and family friendly services. Key Largo Grande Resort & Beach Club - Nestled on 12� acres of lush hardwood forestry along the Gulf of Mexico and the southern boundaries of the Everglades National Park, The Key Largo Grande Resort & Beach Club offers inspired accommodations for business and leisure travel alike. Florida Keys Hotels and Accommodations - Discounted rates on Hotel rooms, Car Rentals, Flights, Vacation Rentals. Discountedhotels.com, your complete travel resource. Fairfield Inn Key West - Enjoy an exotic island paradise with a familiar name, and experience the perfect blend of convenience, comfort and ambience. Whispers, a Victorian Bed & Breakfast Inn (Key West) - located in the heart of old town. We serve a full gourmet breakfast, and have access to a private beach, pool and healthclub. Come home to Whispers. La Mer and Dewey House - 2 of Key West's ONLY ocean front Bed and Breakfasts. Luxury attention to detail. Lush Gardens. Southernmost Motel - Close to the action. Pools and Jacuzzi. 127 rooms. The Ritz-Carlton, Amelia Island - Discover The Ritz-Carlton, Amelia Island, and experience a place where magnificent live oaks and Southern charm meet Florida�s warm ocean waves and white sand beaches on a grand stretch of pristine coastline. Residence Inn Amelia Island - is a new Amelia Island suites hotel in Fernandina Beach, Florida located within walking distance to the beach and ocean front restaurants. Anna Marie Island - Official Guide. Anna Maria Island Rental Places - Vacation Rentals - Beach Vacation Homes, Villas, Condos and House Rentals in Anna Maria Island, Florida. Professionally Managed Vacation Rental Accommodations. Island Vacation Properties of Anna Maria Island, Florida. - Hundreds of vacation homes for rent and for sale. Captiva Island Vacation Rentals - Beach Vacation Homes, Villas, Condos and House Rentals in Captiva Island, Florida. Professionally Managed Vacation Rental Accommodations. The Lido Beach Resort Sarasota, Florida - is a beachfront hotel resort on Florida's Gulf Coast on beautiful Lido Key (Stephen King's Duma Key). It's a family friendly hotel located on the beach, ideal for your winter vacation with kids. Located minutes from shopping and dining at St. Armands Circle. Discover The Ritz-Carlton, Key Biscayne - a true destination resort that blends adventure and relaxation with its beautiful nature preserves, charming shopping villages and golden beaches. Longboat Key - Florida Vacation Connection - We offer monthly, weekly and daily vacation rentals on sunny Longboat Key near Sarasota, Florida. NW Florida's Emerald Coast - Destin, Fort Walton Beach, Navarre, Okaloosa Island, Sandestin, Seaside. Marco Island Vacation Rentals - Beach Vacation Homes, Villas, Condos and House Rentals in Marco Island, Florida. Professionally Managed Vacation Rental Accommodations. Marriott Marco Island Beach Resort Golf Club and Spa - A beachfront Marco Island resort near Naples, FL, with on-site golf, spa, private beach access, on-site dining and upgraded hotel suites. Marriott's Crystal Shores Marco Island Villas - offers spacious 2- and 3-bedroom villas that feature a full kitchen, living and dining area, and gracious master bedroom and bath. The finest amenities and Marriott service complete the experience. Paradise Coast - Collier county visitor information bureau for Marco Island, SW Florida, Naples, and Everglades City hotels, resorts, restaurants, golf, and attractions. Perdido Key Rental Places - Vacation Rentals - Beach Vacation Homes, Villas, Condos and House Rentals in Perdido Key, Florida. Professionally Managed Vacation Rental Accommodations. Sanibel Island Vacation Rentals - Beach Vacation Homes, Villas, Condos and House Rentals in Sanibel Island, Florida. Professionally Managed Vacation Rental Accommodations. Sanibel Harbour Resort & Spa Sanibel Island, (Fort Myers)....Pamper yourself a little!! Siesta Key Vacation Rentals - Beach Vacation Homes, Villas, Condos and House Rentals in Siesta Key, Florida. Professionally Managed Vacation Rental Accommodations. Marriott's Ocean Pointe Palm Beach Shores Resort (Singer Island) - An exquisite Palm Beach retreat awaits you along the shores of the Atlantic: Marriott's Ocean Pointe. Amenities within your luxury one-, two- or three-bedroom villa include an oversized soaking tub, spacious living and dining areas, and private balcony. OrlandoOnline.com - Orlando & Central Florida. Buy your Orlando attraction tickets from Attraction Tickets Direct. - Orlando is the theme park capital of the world. Go Orlando Card - offers unlimited admission to tours, sightseeing and more for one low price. Sea World Parks Orlando - Find great Orlando vacation packages that perfectly fit your family�s needs by booking your SeaWorld� Orlando vacation online. Save money, save time, and book your vacation with ease! Noble Transportation & Limousine - Orlando Airport - Leading transportation and limousines company in Orlando, Florida providing services like airport shuttle and coach transportation. World Quest Orlando - WorldQuest Orlando Resort is the perfect all-suite hotel for your Florida family vacation to Walt Disney World and Universal Studios. Magical Memories Travel - Disneyland is Disney Magic at its finest, and at Magical Memories Travel we can help you plan the perfect Disney world vacation! Shuttles In Orlando - Affordable Orlando Limo and Shuttle Service. Disney Shuttles provides dependable, timely transportation to anywhere in Florida. Save big by booking online now. Travel agents earn up to 15% per booking of their customers airport transfers. Exclusive Private Villas - Luxury Villa Rentals with Concierge in Orlando, Barbados, Koh Samui, Croatia and other popular destinations. Orlando Vacation Home Rental - OVH 360 has a large inventory of 3 to 7 bedroom vacation rentals in Orlando and near the major theme parks. The Courtyard by Marriott Lake Buena Vista - Relax and be comfortable in one of our 222 guest rooms and 86 suites, which feature a separate comfortable sitting area. All near Disney World, Universal Orlando, SeaWorld & the Orlando Convention Center. Nickelodeon Suites Resort - is an exciting Nicked-out family vacation resort hotel in Orlando, Florida – a mile from Walt Disney World theme parks – featuring spacious Kids Suites, 2 wild water parks, live entertainment & shows, 4-D theater and Orlando family vacation packages. Renaissance Orlando Airport Hotel - Get away to one of the premier Orlando Airport hotels ' The Renaissance. Featuring spacious accommodations with plush beds & high-tech amenities, it is the ideal retreat for both business & leisure travelers. The Ritz-Carlton Orlando, Grande Lakes - Discover The Ritz-Carlton, Orlando, and experience all this vibrant, fun-filled city has to offer. With exceptional amenities and impeccable service, this hotel offers guests a stylish place to enjoy the quintessential all-American city. From unique children�s programs to relaxing spa and golf getaways, The Ritz-Carlton, Orlando luxury resort is the perfect destination for families � and couples. Find an Orlando vacation rental at HolidayRentalFlorida.com - Furnished vacation homes with pools, resort condos with full kitchens that sleeps 2-12 people. Just minutes to Disney or Universal theme parks. Perfect for your family vacation to Orlando. Marriott Orlando Airport Hotels - The Marriott offers guests exceptional service, spacious accommodations and high-tech amenities at a variety of hotels near the Orlando Airport. The Top Villas - Luxury vacation villas with pools in the most desirable destinations in Florida including Orlando/Disney area, Cape Coral, Naples and Miami. Fairfield Inn Orlando - offers several amenities including free breakfast, free high speed internet access, free parking, & an outdoor pool. Magical Vacation Homes - Windsor Hills Resort vacation rentals are just 2 miles to Disney. Orlando vacation homes close to Disney at low rates. Check out our Kissimmee rental specials. Nickelodeon Suites Resort - is an exciting Nicked-out family vacation resort hotel in Orlando, Florida, a mile from Walt Disney World theme park, featuring spacious Kids Suites, 2 wild water parks, live entertainment & shows, 4-D theater and Orlando family vacation packages. Loyalty USA - Vacation Rental .Homes - Luxury Vacation Homes Near Disney Orlando Florida with private pools, jacuzzis, game rooms and Internet cheaper than a hotel. Orlando World Center Marriott - This is the world's largest Marriott. It's located just 1.5 miles from Disney World and features an on-site golf course, six swmming pools, 2,000 hotel rooms and large meeting facilities. Marriott Orlando Airport Hotel - This Orlando Airport hotel features an on-site steakhouse, enviromentally friendly facilities, indoor/outdoor swimming pool, 29,000 sq. ft of meeting space, and easy access to nearby attractions. Florida Spirit Vacation Homes - 3,4,5,& 6 bedroom Orlando vacation home rentals with private heated pools. Imagine Vacation Homes - Orlando Vacation Rentals provided by Imagine Vacation homes are close to Disney and all of the Orlando Theme Parks. Holiday Inn Main Gate East - (Kissimmee / Orlando) has your family vacation accommodations when visiting all the Orlando area theme parks. Newly renovated rooms, free high speed internet, outdoor heated pool, complimentary shuttle service to Disney World. Orlando Vacation Rentals - Beach Vacation Homes, Villas, Condos and House Rentals in Orlando, Florida. Professionally Managed Vacation Rental Accommodations. All Star Vacation Homes - 3 to 7 Bedroom Luxury Vacation Home Rentals near Disney World with Private Pools and Game Rooms. Discount Vacation Rentals Online - has the largest inventory of vacation home rentals, condos and townhouses in the Orlando Disney area. Marriott's Cypress Harbour Villas near Sea World - Marriott's Cypress Harbour features spacious two-bedroom, two-bath villas with a fully equipped kitchen, living/dining area, screened balcony/patio, washer/dryer, 3 TVs, DVD player and activities for young and old. GrandCypress.Hyatt.com - Official Site- Hyatt Regency Grand Cypress. Adjacent to Disney World. Famous Grand Cypress Golf Academy, tennis, equestrian and more available. Marriott's Grande Vista Orlando Golf Villas - In the magical heart of Orlando is Marriott's Grande Vista. One- two- and three-bedroom villas feature spacious living and dining areas, full kitchen, and a master suite with oversized soaking tub, plus access to Faldo Golf Institute by Marriott. Double Tree Orlando - The DoubleTree Hotel at the Entrance to Universal Orlando is a convention center resort and hotel near Orlando�s top attractions and Convention Center, with deluxe accommodations, business features, and group vacation packages. FloridaVillas2go4 - A superb collection of executive Orlando condos and pool homes - deal direct from the owner. USA Vacation Homes - Orlando vacation rentals, spa vacations, Disney rental homes. VacationRentalsClub.com - Broadcast your vacations, upload videos, photos, watch videos, browse a huge collection of properties and more. Not just another rental listing site, it's the future for vacation rentals. Sheraton Lake Buena Vista Resort - Experience a world of magic and excitement just a few blocks from the entrance to Disney World Resort and enjoy complimentary shuttle service to all the Disney Orlando theme parks. Orlando Hotels and Accommodations - Discounted rates on Hotel rooms, Car Rentals, Flights, Vacation Rentals. Discountedhotels.com, your complete travel resource. Saizans Travel - Disney World & Disney Cruise Specialists. Vacation travel for couples, families and groups. All-inclusive resorts, cruises, packages and tours. Holiday Inn Family Suites - New all-suite resort 1 mile from Disney. Rate includes free hot breakfast buffet, etc. Travelodge in Orlando- A family-oriented hotel near Universal Studios & Disney World on International Drive. Affordable rates close to everything, far from ordinary. Marriott Miami Airport Hotels - The Marriott offers guests exceptional service, spacious accommodations and high-tech amenities at a variety of hotels near the Miami Airport. Get More Vacations - Vacation rental properties in FL, AL, and NC with free golf, deep sea fishing, water parks and more every day! A better Stay - Vacation Rentals in Destin - Booking vacation rentals, condos, resorts, hotels and more at reduced prices. ABetterStay.com, the starting place for a better vacation. The Hampton Inn St. Augustine - is conveniently located off of Interstate 95, just minutes from the Prime Outlet Mall and the St. Augustine Premium Outlet Mall. VacationRentalPros.com - Venice Florida Beach Vacation Rental Homes and Condos. Holiday Inn Express Jacksonville Beach - offers a prime location for a luxurious beach getaway just moments from the pristine Atlantic Ocean. Experience the finest amenities and services at our newly built hotel, including 32� flat panel televisions, complimentary daily breakfast and free high-speed wireless Internet. Holiday Inn Lakewood Ranch - Sarasota - is an upscale hotel featuring luxurious accommodations in a boutique setting. Near Florida�s famous white-sand beaches, shopping, dining, and entertainment. Harbor Beach Marriott Fort Lauderdale Resort & Spa - This beach resort in Fort Lauderdale, Florida, is set on 16 acres and offers an on-site spa, three restaurants, a tropical lagoon pool, and 40,000 square feet of event space. Beach Town Motel - An affordable motel located in downtown Hollywood, Florida one block from Young Circle and five minutes from Hollywood Beach. Tampa Marriott Westshore Hotel - This hotel is located in the Westshore business district with an-onsite Starbucks, dining, meeting space and heated indoor/outdoor connected pool. Marriott Tampa Airport Hotel - Located inside the Tampa International Airport, this hotel offers an on-site bar and restaurant, fitness center, outdoor pool, and 18,000 sq.ft of event and meeting space. Marriott's Miami Villas at Doral - is located moments from the excitement of Miami's South Beach. Enjoy two-bedroom, two-bath villas with living and dining areas, oversized soaking tub, balcony, and washer/dryer. Plus access to the Doral Golf Resort & Spa. Traveling2Florida - Highlights the unique perks of Florida vacations for visitors who are looking to find affordable vacation rentals instead of hotels as well as the up-and-coming attractions. Florida Howard Johnson - Discounted Florida hotels in Orlando, Miami, Tampa, Fort Myers and participating Florida Howard Johnsons. Jacksonville Marriott - This Jacksonville hotel features 255 guest rooms and suites, a heated indoor pool, and on-site restaurant and lounge. Fairfield Inn & Suites Jacksonville Florida Airport Hotel - Located two miles from the Jacksonville, Florida, International Airport, this all suite hotel offers spacious rooms and a free airport shuttle and a heated outdoor pool. Eden Roc Renaissance Miami Beach Resort - This resort on Miami Beach features an on-site spa, beachfront access, ocean views, outdoor pool and on-site restaurant and lounge. Miami Marriott Biscayne Bay Hotel - This luxury hotel in downtown Miami overlooks the Biscayne Bay and is located near the Port of Miami and the Art Deco District of Miami. South Beach Marriott Hotel - This South Beach hotel is located on Ocean Drive with beachfront access, an infinity pool, on-site dining and event space, and nearby nightlife and dining in the South of 5th Street area. James Villas - Luxury villas with pools, in some of the most popular holiday destinations throughout Florida. HomeAway.com Florida Vacation Homes - Look for Florida Vacation Homes from small condos to large villas. Pet-friendly rentals also available. Search now! Luxury Resort Bliss - We list the best of the best luxury resorts, and give reviews and information for each one. Check us out for your luxury vacation! Vacation-Rentals.com - Your favorite directory for verified vacation rentals in Florida. Vacation Rental Network - Find a beautiful home, villa, or condo in our extensive database of vacation properties for Florida. Discount-Lodging.com - Discount lodging reservations at hotels in cities worldwide. Scenic Rentals.com - Find Beautiful Vacation Homes & Condos throughout Florida. LODGING SITES in Alphabetical Order by City or Area. Residence Inn Amelia Island - The Residence Inn Amelia Island is an all-suite hotel that offers top amenities, gourmet kitchens, all on Amelia Island nearby the beach! Amelia Island Weddings - Experience an unforgettable Amelia Island wedding. From extravagant receptions to intimate weddings, at Amelia Island your big day will be ideal. Discover the perfect Amelia Island wedding venue for your celebration at RitzCarlton.com. One Ocean Resort - a Luxury Atlantic Beach Florida Resort - Enjoy luxurious resort amenities at our Atlantic Beach Florida Resort, minutes from Jacksonville. A vacation for the whole family, we offer a kids club, spa services, fine dining, beautiful pools and oceanfront property at One Ocean Resort and Spa. Hutchinson Island Marriott Beach Resort and Marina - Hotel located in Stuart, FL, featuring ocean view accommodations, golf course, tennis court, and more. Bonita Springs Vacation Rentals - Beach Vacation Homes, Villas, Condos and House Rentals in Bonita Springs, Florida. Courtyard Boynton Beach - Come experience the perfect choice for business or pleasure travelers, impeccable service and an unbeatable location in Boynton Beach Florida - we're the Courtyard by Marriott Boynton Beach and we're near it all. Bradenton Vacation Rentals - Condos, House Rentals, Beach Vacation Homes, and Villas in Bradenton, Florida. Professionally Managed. The Beach View Inn - (Clearwater Beach) The Hotel overlooks beautiful Clearwater Beach, close to many activities. Reasonable rates. Sand Pearl Resort - Clearwater Beach - Discover the perfect vacation at Sandpearl Resort, where nothing stands between you and the powder-soft white sand. Where the spirit is refreshed, the body is renewed and relationships are rejuvenated. It�s a place where couples fall in love all over again, families reconnect and friendships become closer than ever. Hyatt Regency Coral Gables - Depart from the ordinary to Hyatt Regency Coral Gables, a Mediterranean style Miami luxury hotel, modeled after the Alhambra Palace in Spain. Our AAA Four Diamond hotel in Coral Gables exudes grace and elegance while offering supreme hospitality and excellence. Residence Inn Delray Beach - featuring all new, spacious suites with full kitchens and free high-speed Internet access. This pet-friendly hotel is just a casual stroll from beautiful gold, sandy beaches, shopping, dining, and nightlife. Courtyard Sandestin Hotel at Grand Boulevard - Located within the Sandestin Golf & Beach Resort, this Destin, Florida hotel offers access to all resort amenities and is less than a mile from the beach. Destin Rental Places - Vacation Rentals - Beach Vacation Homes, Villas, Condos and House Rentals in Destin, Florida. Professionally Managed Vacation Rental Accommodations. Residence Inn Sandestin Hotel at Grand Boulevard - This all-suite hotel in Destin, Florida, is located within the Sandestin resort area and features spacious hotel suites with full kitchens and separate living and sleeping areas. Seascape Golf, Beach and Tennis Resort - An All-Inclusive Destin Condo Resort offers a casual luxury experience in the prestigous Destin, Florida area. The Ritz Carlton, Fort Lauderdale - Discover The Ritz-Carlton, Fort Lauderdale and experience Florida�s legendary Gold Coast. Featuring a beachfront location with lavish suites, a luxurious spa, and championship golf, this Fort Lauderdale luxury hotel & resort is an unforgettable escape. Marriott's BeachPlace Towers Fort Lauderdale Vacation Villas - Located between the Atlantic and Intercoastal, Marriott's BeachPlace Towers is a prime Ft. Lauderdale vacation. Two-bedroom, two-bath villas with full kitchen, living and dining areas, and washer/dryer are atop three floors of exclusive retail shops. Residence Inn Fort Lauderdale Plantation Hotel - Florida Green Lodging hotel in Plantation, Florida, with extended stay hotel suites equipped with full kitchens and separate living/dining areas. Days Inn Fort Lauderdale - Take advantage of reasonable rates and discount vacation deals when you�re a guest at the Days Inn Fort Lauderdale, a family-friendly hotel convenient to beaches and the airport. Courtyard Fort Lauderdale Coral Springs - The Courtyard Marriott Coral Springs Florida Hotel is near Parkland, Pompano Beach, and Coconut Creek FL. This hotel in Coral Springs Florida offers delightful accommodations for any traveler who needs ideal lodging for business or pleasure travel. Renaissance Fort Lauderdale Cruise Port Hotel - Uniquely Renaissance and ready to provide the unexpected and delightful - The Renaissance Fort Lauderdale will deliver personalized service for a memorable experience, located in the heart of Fort Lauderdale. Fort Lauderdale Marriott Coral Springs Hotel, Golf Club & Convention Center - Discover all there is to do just steps from our Coral Spring hotel's guest rooms. Enjoy world-class golfing, an outdoor swimming pool, 24-hour fitness center & various dining options at our Coral Springs hotel. Sanibel Harbour Resort and Spa - Sanibel Island, (Fort Myers)....Pamper yourself a little!! Fort Walton Beach Rental Places - Vacation Rentals - Beach Vacation Homes, Villas, Condos and House Rentals in Fort Walton Beach, Florida. Professionally Managed Vacation Rental Accommodations. Courtyard by Marriott Jensen Beach - This Hutchinson Island beachfront hotel in Florida has 104 beautifully decorated rooms and 6 well-appointed suites offering stunning views of the Atlantic Ocean and amazing sunsets. Our cafe serves Breakfast daily and Latitudes Tiki Bar offers tropical cocktails. Plumlee Gulf Beach Realty - Indian Shores and Indian Rocks Beach vacation rentals. Courtyard Jacksonville Flagler Center - Find comfort and convenience at one of the premier hotels in Jacksonville, FL, at Courtyard by Marriott Jacksonville Flagler Center offering high-speed Internet, luxury bedding and a convenient location for area sites. Best Western Jacksonoville Beach - Best Western Oceanfront is an award-winning beachfront hotel in Jacksonville Beach, Florida that offers elegantly appointed guestrooms with some boasting panoramic ocean views, vacation packages, complimentary continental breakfast, a heated outdoor swimming pool and free parking. Fairfield Inn & Suites Jacksonville West/Chaffee Point - Discover one of the newest West Jacksonville, FL hotels - the Fairfield Inn & Suites. Centrally located within minutes of downtown attractions, this Jacksonville, FL West hotel is your home away from home. Quality Suites Jacksonville Beach - Quality Suites Oceanfront in Jacksonville Beach, is an all-suites, all oceanfront luxury resort hotel boasting oceanview balconies, on-site business and fitness centers, and access to dozens of Jacksonville attractions. Jupiter Beach Resort - Located along seven miles of beautiful beachfront, the property boasts amenities that include restaurants, recreational activities, and a full-service Spa. Southernmost Hotel - Key West Florida Lodging & Accommodations - offers exquisitely appointed accommodations and an array of resort-style amenities from luxury pool to complimentary breakfast each morning. The Southernmost House is an historic oceanfront hotel property in Key West, Florida set in a tropical oasis paradise. Whispers, a Victorian Bed & Breakfast Inn (Key West) located in the heart of old town. We serve a full gourmet breakfast, and have access to a private beach, pool and healthclub. Come home to Whispers. Southernmost Motel - Key West Close to the action. Pools and Jacuzzi. 127 rooms. La Mer and Dewey House 2 of Key West's ONLY ocean front Bed and Breakfasts. Luxury attention to detail. Lush Gardens. Fairfield Inn & Suites Lake City - Discover one of the most conveniently located Lake City, Florida hotels ' Fairfield Inn & Suites Lake City. With complimentary breakfast, indoor pool & free Internet, our Lake City, FL hotel's accommodations are ideal for leisure & business alike. The Lido Beach Resort Sarasota, Florida - (Lido Key) is a beachfront hotel resort on Florida's Gulf Coast on beautiful Lido Key (Stephen King's Duma Key). It's a family friendly hotel located on the beach, ideal for your winter vacation with kids. Located minutes from shopping and dining at St. Armands Circle. Longboat Key: Florida Vacation Connection - We offer monthly, weekly and daily vacation rentals on sunny Longboat Key near Sarasota, Florida. Discover the luxury of the Ocean Point Beach Resort and Spa in Miami Beach. Miami Vacation Rentals - Beach Vacation Homes, Villas, Condos and House Rentals in Miami, Florida. Professionally Managed Vacation Rental Accommodations. National Hotel (Miami) - Upscale Boutique Hotel in the heart of South Beach. Book Online Now & Save. Palms Hotel in Miami - Oceanside Resort on the northern end of South Beach. Navarre Beach Rental Places - Vacation Rentals - Beach Vacation Homes, Villas, Condos and House Rentals in Navarre Beach, Florida. Professionally Managed Vacation Rental Accommodations. Courtyard Naples - Get away to one of the top downtown Naples hotels. With spacious guest rooms and award-winning service just minutes from a thriving business center, beautiful beaches, fantastic golf courses, and a vibrant cultural scene that makes Naples a wonderful world of its own. The Ritz-Carlton Golf Resort in Naples, Florida - At The Ritz-Carlton Golf Resort, Naples you can challenge yourself on two world-class golf courses then retreat to the unrivaled luxury a Mediterranean-style sanctuary. The Ritz-Carlton, Naples - Experience Florida�s Paradise Coast at The Ritz-Carlton, Naples. Featuring dazzling views of the Gulf of Mexico, three miles of pristine beaches, world-class restaurants and impeccable service. Naples Vacation Rentals - Condos, House Rentals, Beach Vacation Homes, and Villas in Naples, Florida. Professionally Managed Vacation Rental Accommodations. Holiday Inn Family Suites - Orlando - New all-suite resort 1 mile from Disney. Rate includes free hot breakfast buffet, etc. The Ritz Carlton, Palm Beach - Experience genuine renewal at The Ritz-Carlton, Palm Beach. Situated along beachfront on the fabled treasure coast of South Florida, this Five-Star, Five Diamond oceanfront resort is an exquisite welcome to Palm Beach with refined beauty, a graceful atmosphere, and impeccable service. Panama City Rental Places - Vacation Rentals - Beach Vacation Homes, Villas, Condos and House Rentals in Panama City, Florida. Professionally Managed Vacation Rental Accommodations. Marriott's Legend Edge Villas in Panama City - On Grand Lagoon in Panama City Beach is Marriott's Legends Edge. Lagoon view two-bedroom, two-bath villas offer a full kitchen & living area, veranda or balcony, oversized soaking tub, and washer/dryer. The Ritz-Carlton, Sarasota - Experience a place where the casual Gulf Coast lifestyle meets the sophisticated, cosmopolitan excitement of the city. Featuring exceptional dining, a luxurious spa, championship golf, lavish accommodations and sweeping bay and city views, The Ritz-Carlton in Sarasota, Florida, provides guests with a relaxing escape from the everyday and a sandy beach named the 2011 "Best Beach in America". Sarasota Vacation Rentals - Condos, House Rentals, Beach Vacation Homes, and Villas in Sarasota, Florida. Professionally Managed Vacation Rental Accommodations. Residence Inn St. Petersburg Treasure Island - is an all new extended-stay beachfront hotel where you will be greeted with a warm smile and the cool gulf breeze. Located beachfront, enjoy Florida's West Coast breathtaking sunsets! Palm Beach Marriott Singer Island Beach Resort & Spa - Situated between Jupiter and Palm Beach on Florida's famed Gold Coast, guests are invited to experience Marriott's newest Four-Diamond Palm Beach resort - the Palm Beach Marriott Singer Island Beach Resort & Spa. South Walton Rental Places - Vacation Rentals - Beach Vacation Homes, Villas, Condos and House Rentals in South Walton, Florida. Professionally Managed Vacation Rental Accommodations. Safety Harbor Resort & Spa (Tampa) - Enjoy the Safety Harbor Resort and Spa, recognized not only as one of the premier Tampa resorts, but as one of the top-10 spa destinations in the country. Marriott Tampa Hotel & Marina - This Tampa Hotel near Ybor City is located in the Channelside District and features an on-site 32 slip marina, a full service spa, on-site meeting space and business ervices, plus dining at Il Terrazzo. Renaissance Tampa International Plaza Hotel - Discover one of the most luxurious & convenient Tampa, Florida hotels ' Renaissance Tampa International Plaza Hotel. Featuring spacious guest rooms, on-site dining, a fitness center & 12,500 sq ft of meeting space, our hotel is the ultimate getaway. SpringHill Suites by Marriott Tampa - is a recently renovated all suite hotel in Tampa's Westshore area, just 2 miles from the Tampa International Airport! Enjoy spacious accommodations featuring refrigerator, microwave, and complimentary high speed internet in all rooms. Hotel features outdoor heated pool, whirlpool and fitness center. Fairfield Inn & Suites Tampa North - Discover one of the top hotels in North Tampa designed to meet all travelers' needs. With a business center, 24-hr market & fitness center, this North Tampa hotel's amenities are a welcome retreat. Tampa Riverwalk Signature Hotel - In the heart of downtown tampa, walking distance to the tampa convention center. Holiday Inn Sunspree Resort - (St. Petersburg, FL) is a full-service beach resort on Tampa Bay with meeting space, private beach, swimming pool, private marina and Florida vacation packages. Choose Crowne Plaza Tampa Westshore - and treat yourself to Tampa's leading source of hotel accommodations. Vinoy Renaissance St. Petersburg Resort & Golf Club - The Renaissance Vinoy Resort & Golf Club features newly renovated guest rooms and is the only luxury St. Petersburg, Florida hotel on the West Coast with the combination of a private marina, 18-hole golf course and 12-court tennis complex. Space Coast Hotel - (Titusville, Florida) - The Quality Inn Kennedy Space Center offers pet-friendly and family friendly hotel rooms and amenities near Kennedy Space Center. Venice Vacation Rentals - Beach Vacation Homes, Villas, Condos and House Rentals in Venice, Florida. Professionally Managed Vacation Rental Accommodations. Marriott West Palm Beach Hotel - Downtown West Palm Beach hotel with 18,000 square feet of meeting space, free airport shuttle, pool, fitness center and 352 rooms and suites. Wildwood Village Hotel - (Wildwood) - near The Villages FL. The Platinum Award-winning Sleep Inn & Suites hotel in Wildwood, FL is one of the most highly rated hotels in its class. View the exceptional lineup of accommodations and amenities. LODGING SITES for Weddings, Events, and Conferences. Wedding Venues in Naples - Plan an unforgettable Naples beach wedding. From extravagant receptions to intimate Naples, FL, beach weddings, your big day will be ideal. Visit RitzCarlton.com and experience a beach wedding in Naples, Florida, that is uniquely yours. The Ritz-Carlton Orlando, Grande Lakes - Experience Orlando weddings perfectly planned to the last detail. From exceptional catering to breathtaking Orlando wedding locations, at The Ritz-Carlton we specialize in creating unforgettable weddings in Orlando that are uniquely yours. Sarasota Weddings at the Ritz-Carlton - The Ritz-Carlton specializes in unforgettable Sarasota weddings and events. From lavish social galas to intimate weddings in Sarasota, FL, your special occasion will be perfect to the last detail. Find South Beach Meeting RoomsThe Ritz-Carlton, South Beach - Experience South Beach meetings that inspire the mind and satisfy the senses. With impeccable service and 10 exceptional South Beach meeting rooms, The Ritz-Carlton, South Beach ensures all your events are memorably excellent. The Ritz-Carlton Golf Resort in Naples, Florida - Experience an unforgettable Florida golf vacation. Featuring the Tibur�n Golf Course, home of the annual Shark Shootout, as well as the Rick Smith Golf Academy at Tibur�n is the ultimate golf retreat. Forests, monuments, parks and wilderness areas...outdoor stuff! Go Orlando Card and Go Miami Card - offer unlimited admission to tours, sightseeing and more for one low price.